When things like this come along, we have to pinch ourselves to make sure we’re not dreaming — a trip to Thailand!? Yes please! 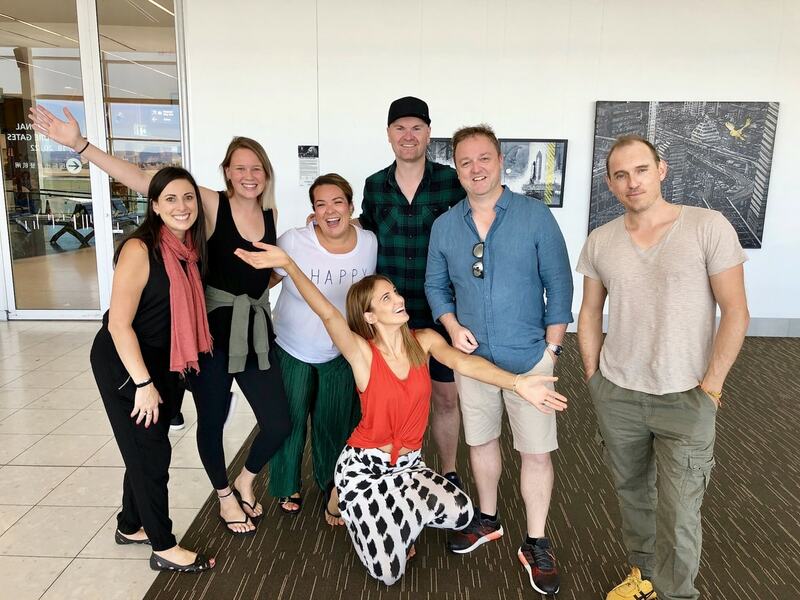 When we first started checking out where to go and what to do, it was fairly overwhelming because there are SO many options, so we called our friends at Flight Centre and booked ourselves an Intrepid Tour. Boom, easy as that! Next thing we knew, our team of eight were up in the air and on our way to stunning Northern Thailand. 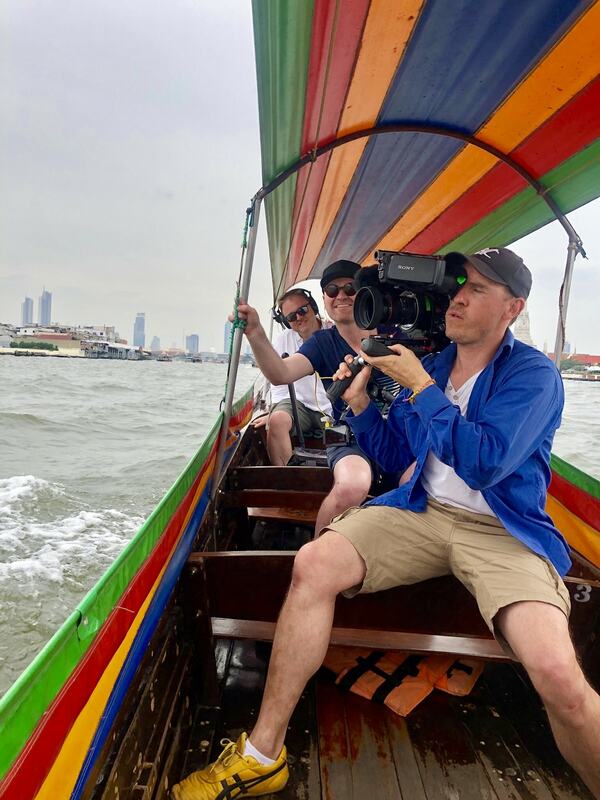 We’d heard that the best way to experience Thailand was by diving in head-first and fully immersing yourself in Thai culture, so that’s exactly what we did. The beauty of Thailand doesn’t just come from the landscape — it comes from the food, the tradition and, most of all, the people. Intrepid Travel open your eyes to all of this! 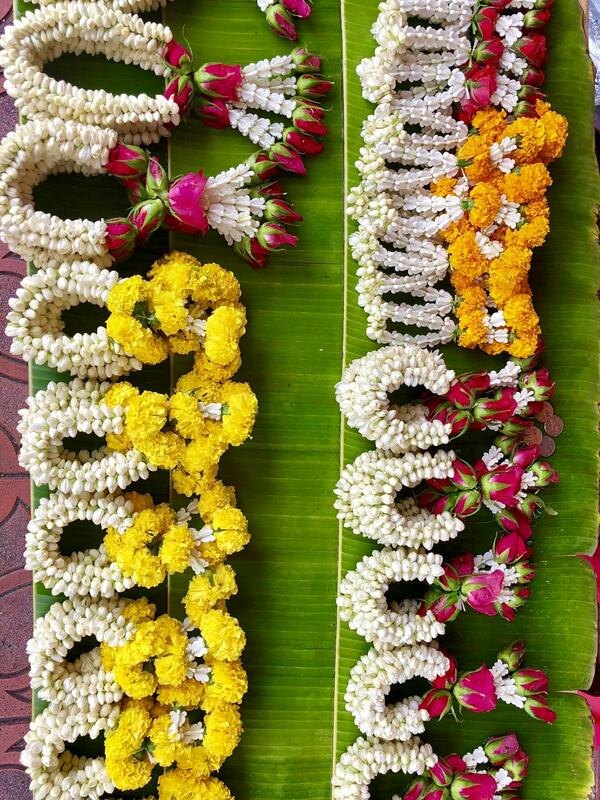 The leaders are lovable, knowledgeable, will show you the “real” Thailand, and leave you with a thirst for more. 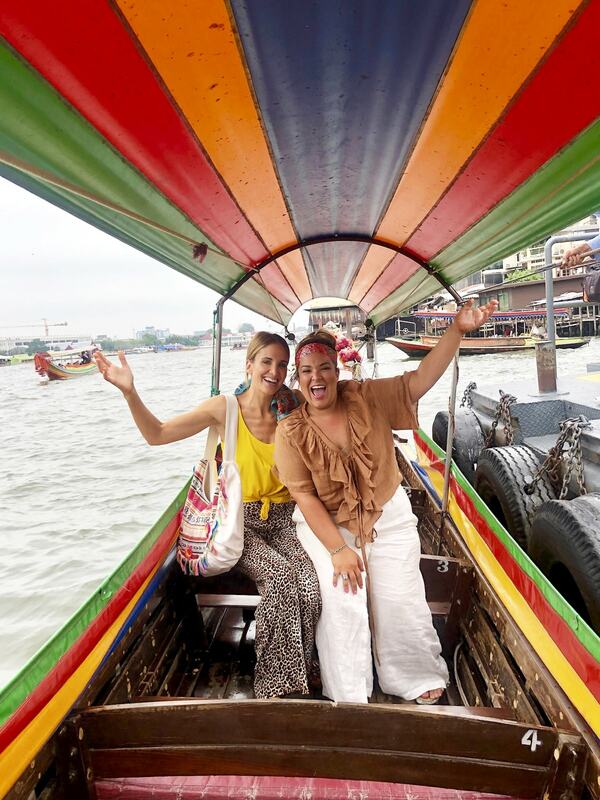 Want an easy way to travel around Bangkok? Jump in the back of an open-air tuk tuk to see the sights. 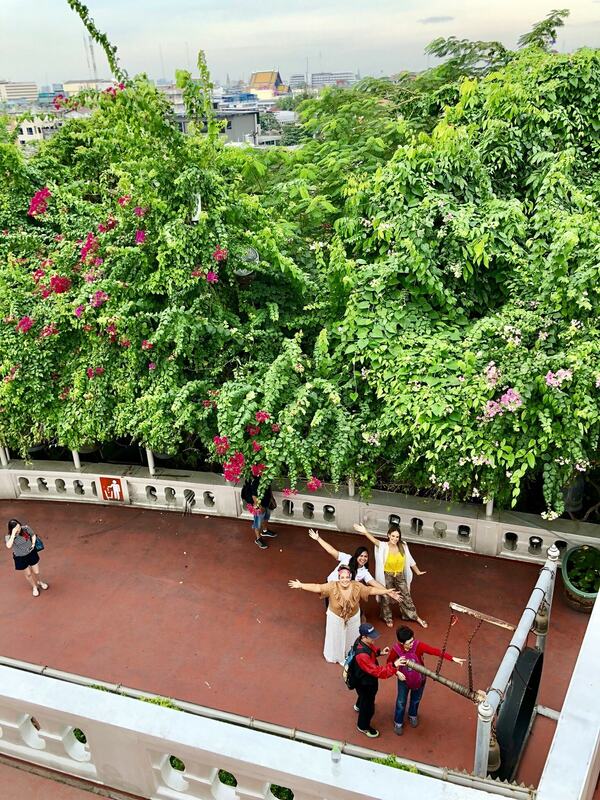 The Intrepid tour guides you effortlessly through the busy streets to some of the most visited temples in Bangkok. 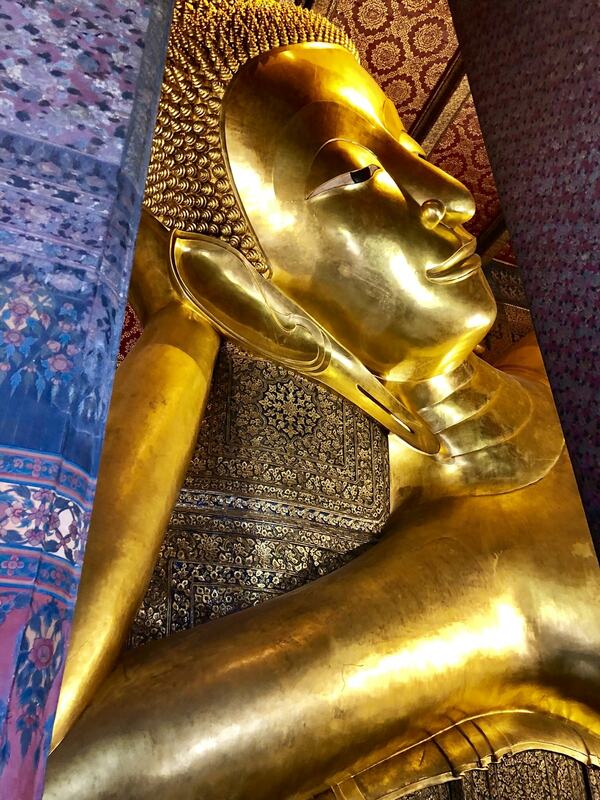 Stretch your legs and get your blood pumping by climbing the 344 steps up to the Golden Mount Temple in the heart of Bangkok, then jump back in your tuk tuk to visit and admire the giant gold reclining Buddha Wat Pho. There are so many temples, each with their own striking personality and backstory that you’ll want to see as many as you can before the day is done. 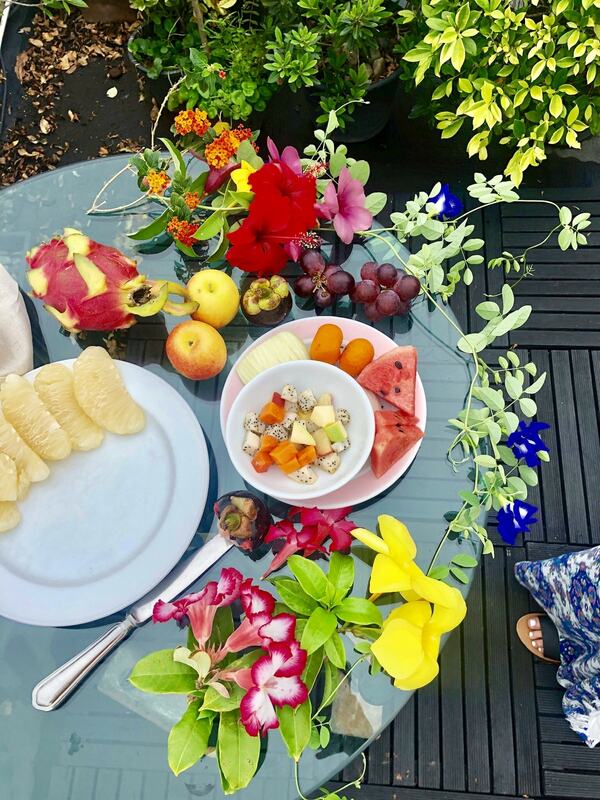 Our heads are still spinning from the assault on our senses — there are so many colours and scents that your eyes will go one way and your nose will go another! 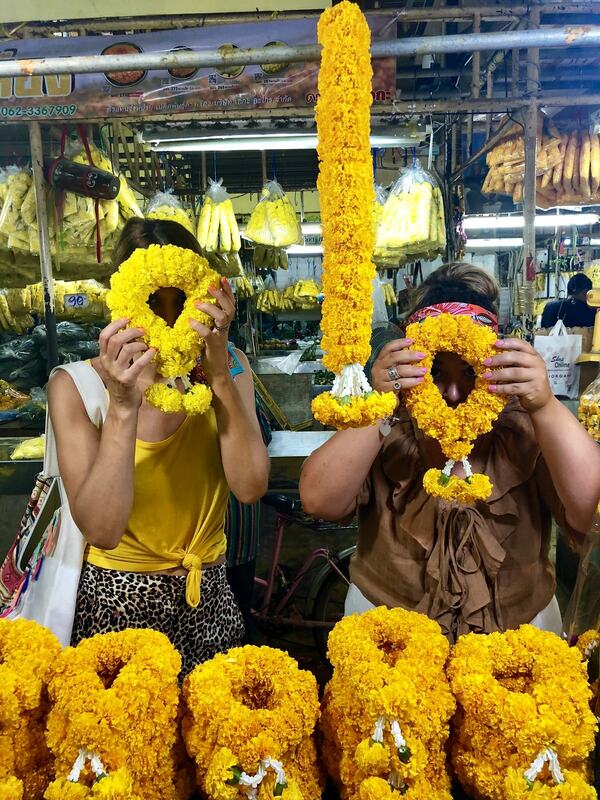 You’ll be treated to a kaleidoscope of colour at the city Fruit and Flower market, where locals and tourists load up with fresh flowers and offerings for Buddha and the Thai monks. 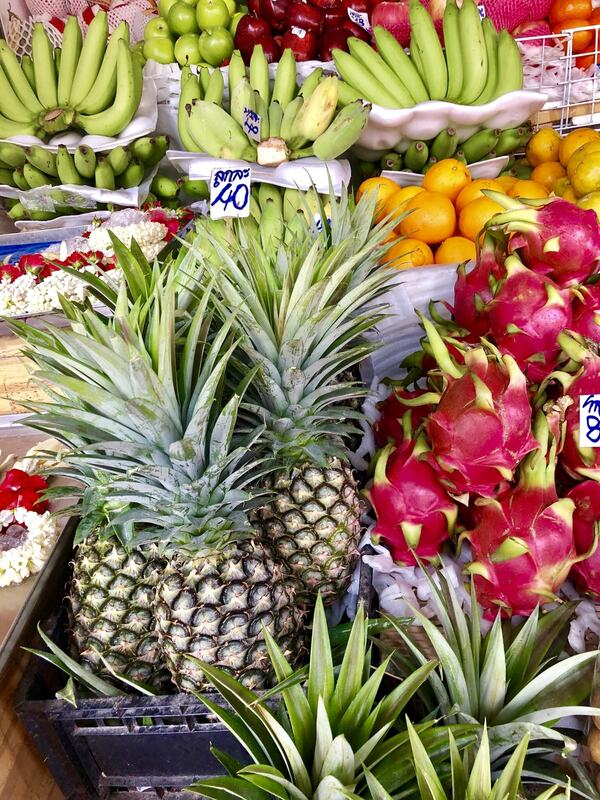 As well as the typical bananas, apples and watermelon, you can also pick up some of the more unique fresh fruits that are found in Thailand. We returned to the hotel with bags of delicious produce to enjoy up on the rooftop at leisure. Divine! 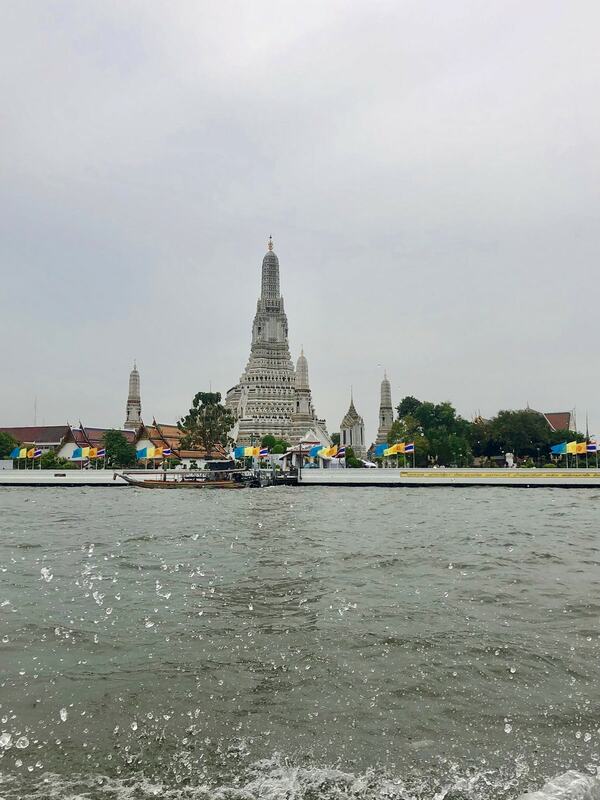 Running through the centre of Bangkok, the Chao Phraya river acts as a water highway through the city centre. You’ll zig-zag across the expansive river visiting some of Bangkok’s landmarks and taking in the sights from a unique point of view, a trademark of Intrepid’s travel style. It’s fascinating to look to your left and see a glorious temple, and then look to your right to see a run down riverside home — the contrast is significant. Another perk of travelling with your own Intrepid leader is access to the best off-the-beaten-track eating and watering holes. You’ll skip the tourist traps and head straight for the authentic restaurants, safe street foods, and breathtaking bars. 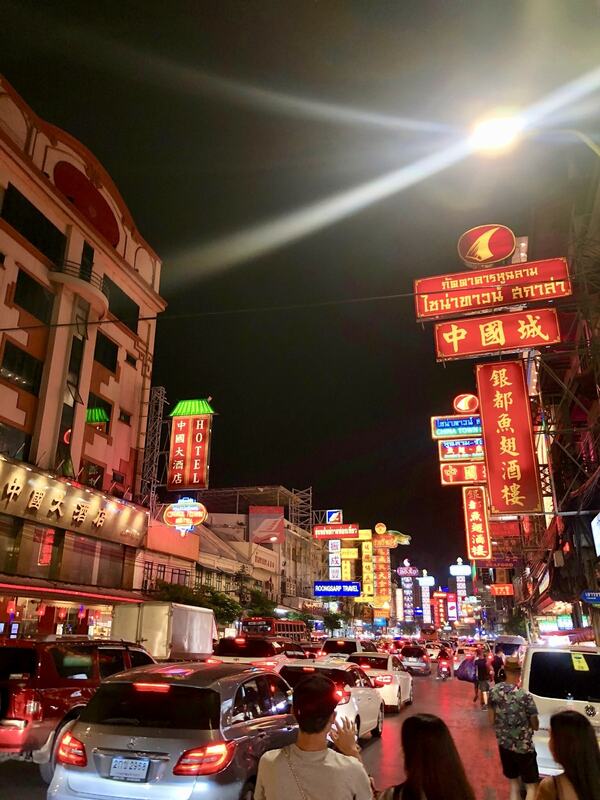 We spent an evening in Bangkok’s China Town and were completely blown away by the hustle and bustle — and the food, of course! 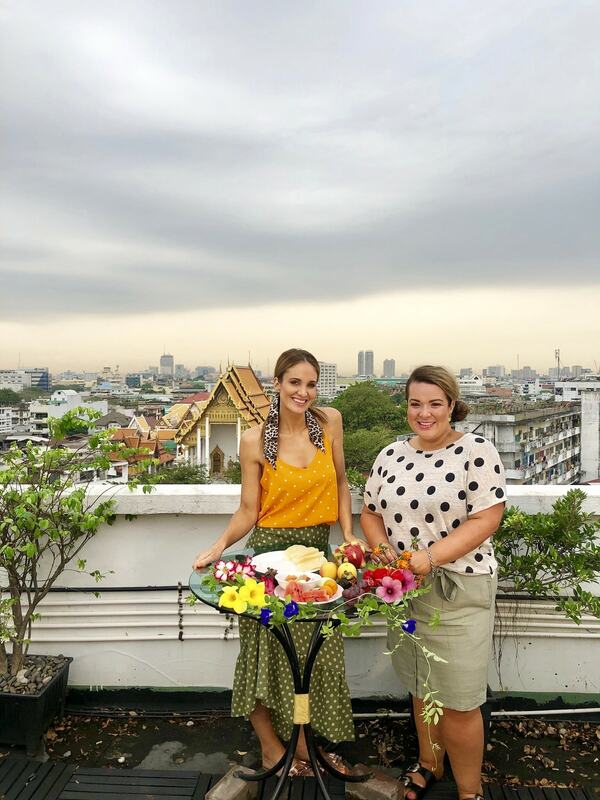 Bangkok alone has over 100 rooftop bars scattered throughout the city, so you’ll have 360 views of the skyline while sipping on a cheeky cocktail. 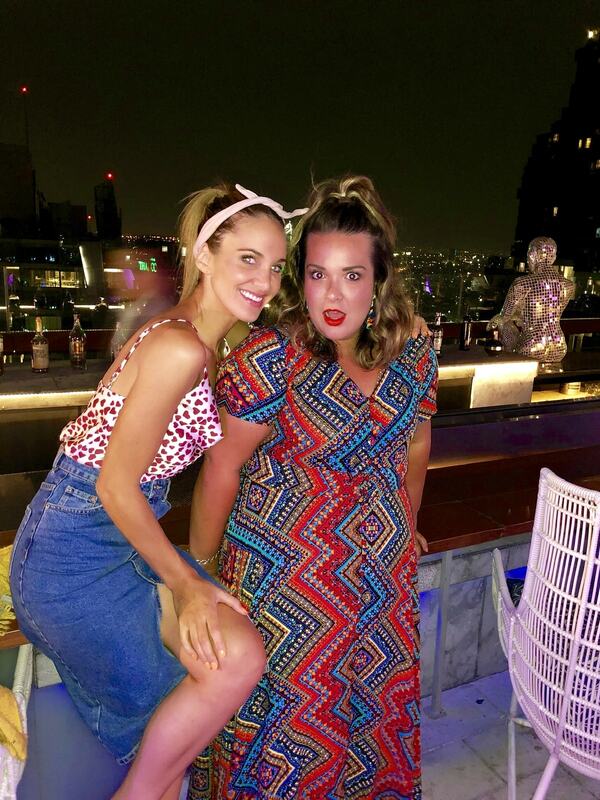 We hit up The Roof at 38, which is located on the very top of the Maxis Hotel. This particular hot spot is known for their award-winning head cocktail maker, and trust us — he DEFINITELY deserves those awards. 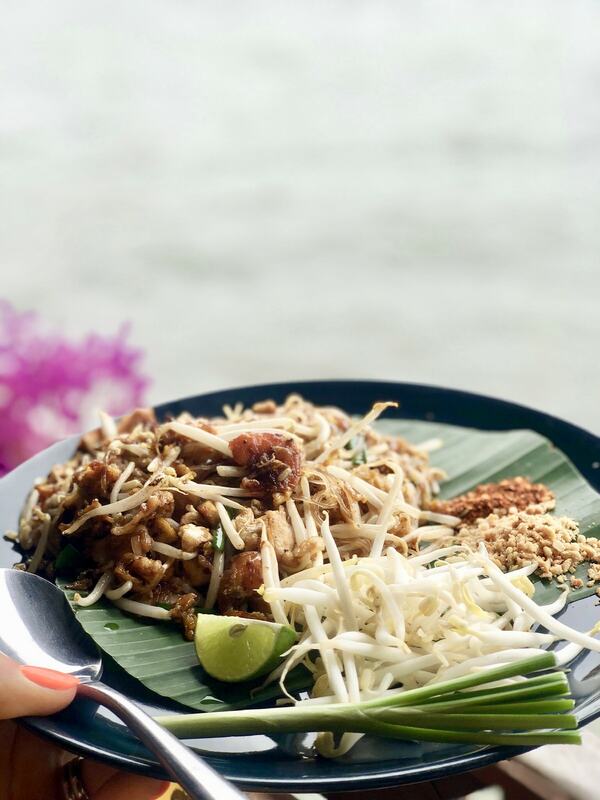 We also had a bit of free time after our Long Tail Boat ride, so found a comfy spot to sit along the Chao Phraya river and enjoy some waterside views and some delish Pad Thai. 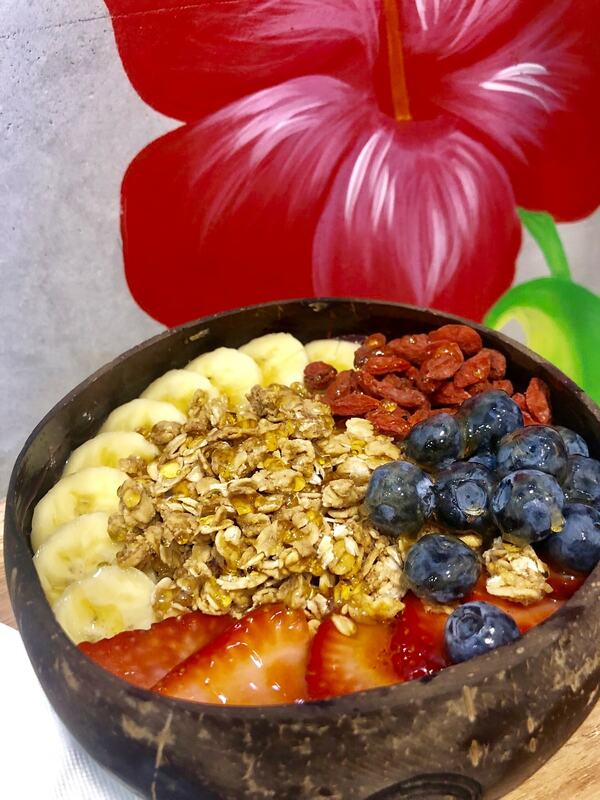 It’s pretty hard to get sick of Thai food, but if you’re craving a little piece of home, we also recommend the Makai Acai and Superfood Bars. 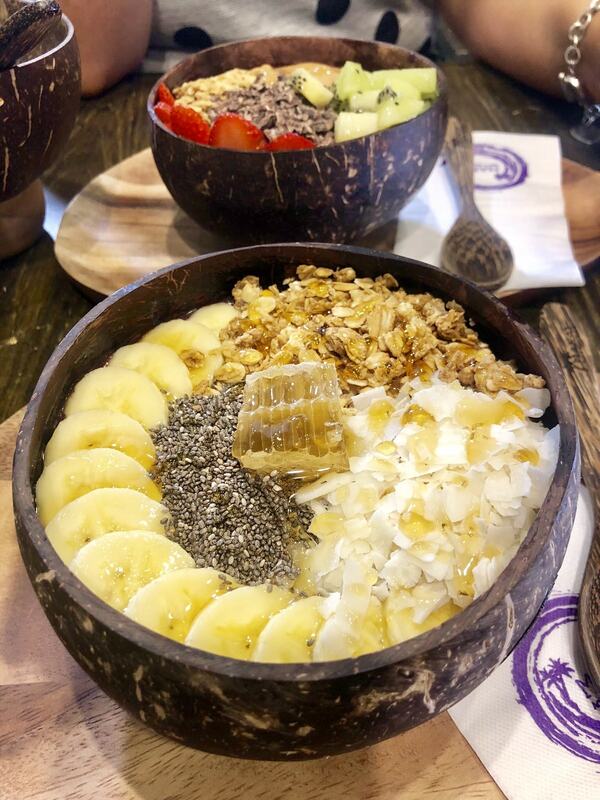 They’re scattered all over Bangkok, and serve up icy cold smoothie bowls that are the perfect refreshing brekky in the warm Thailand climate. 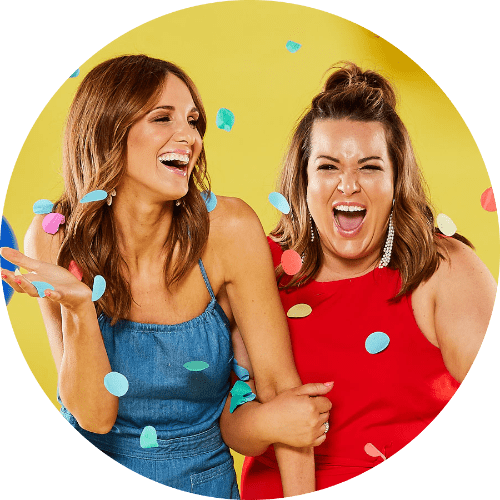 And, hot news for all of our vegans and vegos — Intrepid are releasing a foodie tour that’s been designed just for you, so watch this space! 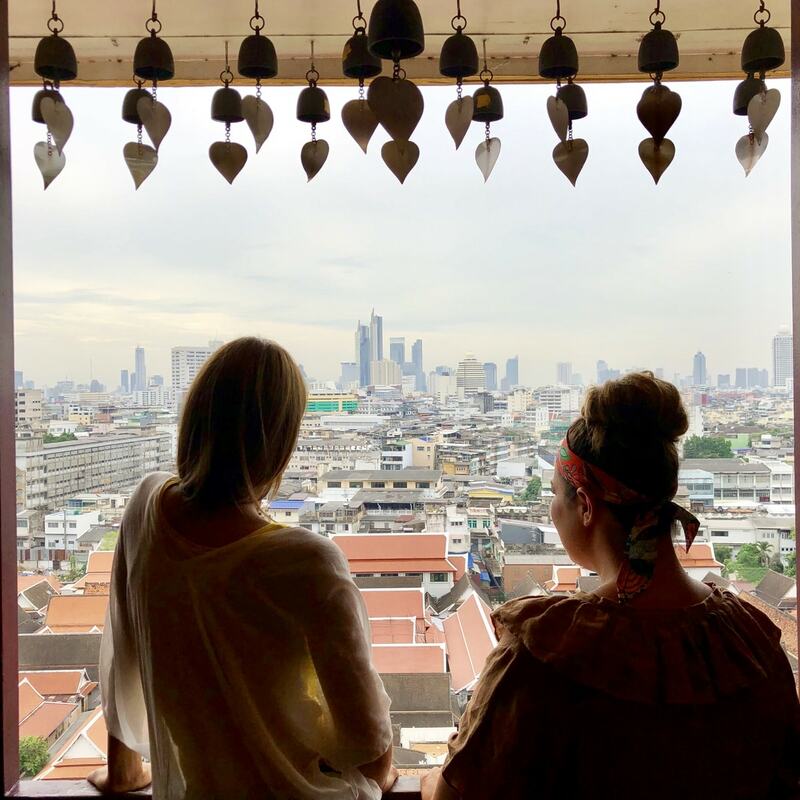 We LOVED spending time in Bangkok, but were so excited to continue on our adventure to Chiang Mai… so stay tuned as our itinerary continues! *Selected departures 27 Feb – 15 Dec 2019. Deal 5427667. Next PostWIN a Northern Thailand Experience!